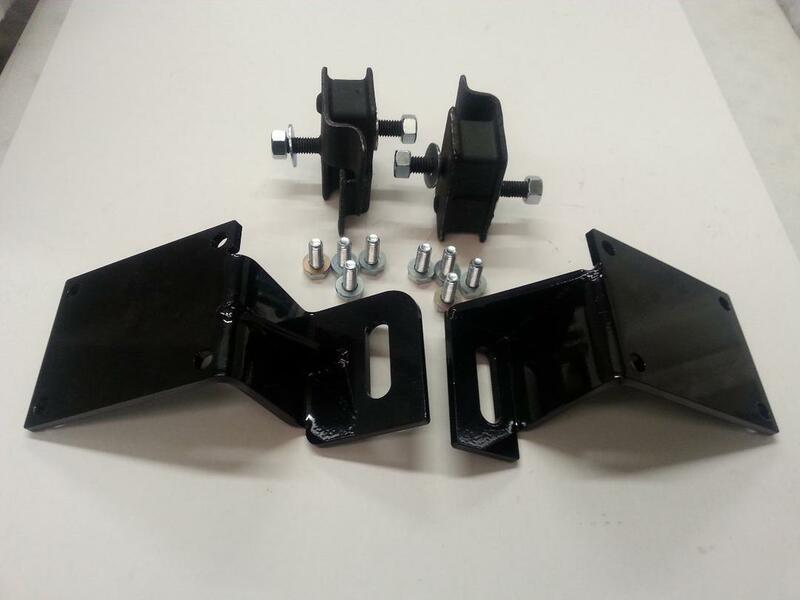 9011 Dodge Truck Gen III Hemi Engine Mounting Brackets for Installations of 5.7L, 6.1L, 6.2L, 6.4L, 7.0L & 7.2L Engines. This engine bracket kit will allow you to install a new Generation III Hemi Engine into your 1972-1993 DODGE TRUCK, all while keeping the correct original stock K Frame assembly. We offer all these Motor Mounting Bracket Kits with all of our complete Gen III Hemi Drivetrain Kits. Must use a rear sump oil pan with 9011 Mount Kit. Engine Brackets are purposely Slotted where Engine Insulator stud installs. Allows you to truly level your engine in your Chassis Easily. NOTE: 1-Works with all Full Size Dodge & Plymouth Pickups, Ramchargers & Traildusters from 1972-1993 that originally came with a V8 engine or Slant 6. 6-Long Tube 1 3/4" Primary Headers will be available early 2019, Keep checking back. Will be available in Raw Steel, Ceramic Coated and Ceramic Polished, with your choice of 2 1/2" or 3" Reducers. 7-Closest Exhaust Manifold Fitment are 5.7L WK Exhaust Manifolds (Set PART #2005-2008 5.7l #57WK3605, 2009-2010 5.7L #57WK3857, 2011-2019 5.7L #57WK1512, 2006-2010 6.1L WK Tubular Exhaust Headers, and 6.4L WK Exhaust Manifolds (Part #64WK2462), some Modifications for fitment are required. We do carry each component or all in a kit form.